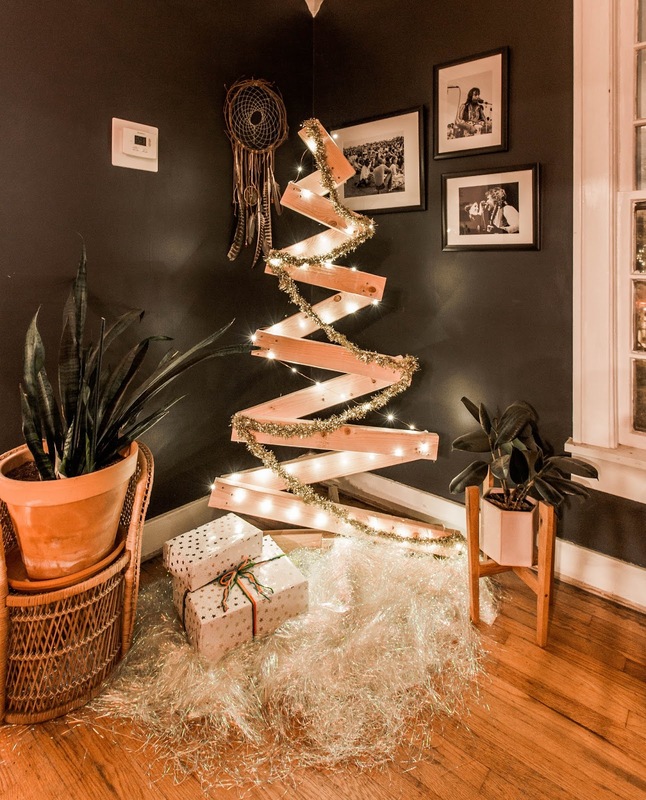 We recently saw a really cool Christmas tree alternative from someone we follow on Instagram and we instantly knew we had to make one for ourselves. 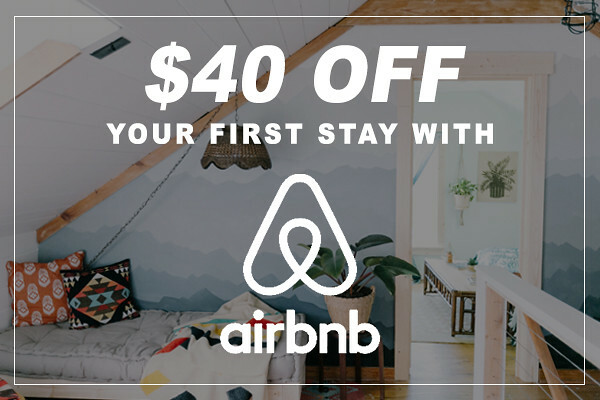 This exact same thing happened last year with our cactus Christmas tree! We find so much inspiration from creators on Instagram. (You can find out account here!) We figured this DIY would be a great one to share with all of you! 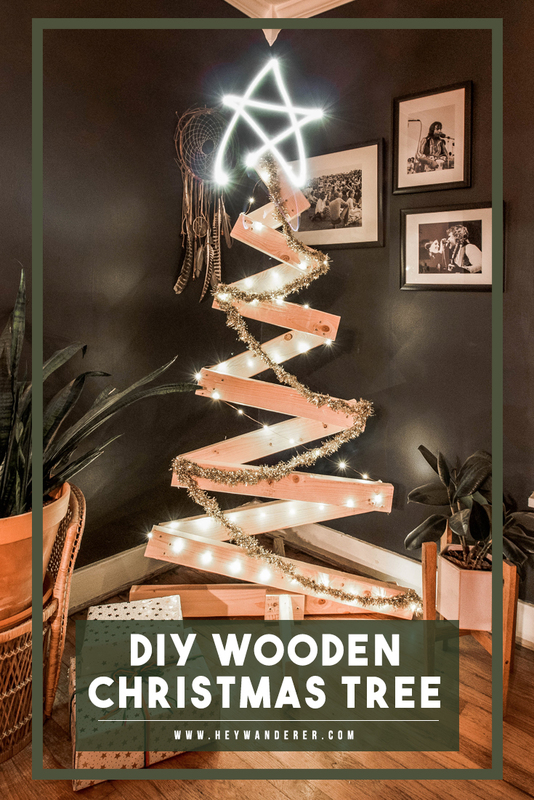 Our wooden Christmas tree is a little rustic, a little modern, minimal, perfect for people who can't have real trees, really simple to make, and something a different. We figured the best way to show you how we made ours would be to actually show you on video, so you will find that below! This tree is going to be really easy to store after Christmas as you can just remove the two bottom legs and you'll have a very flat tree. No more squishing the tree back into a box that's way too small! Well, unless you have multiple trees like us. 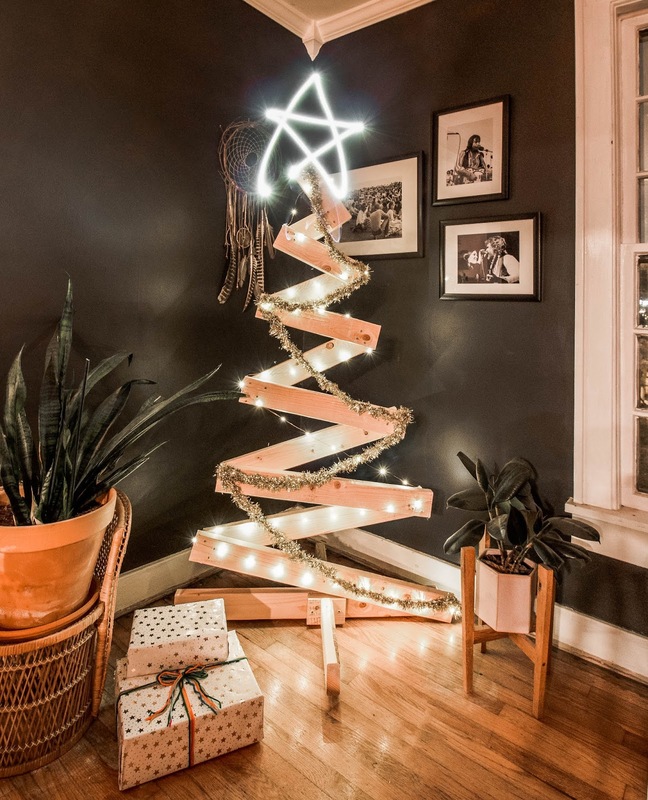 And if you are looking for the simple decorations we used in this DIY, you can find the copper light strands here (they are battery operate so your tree can go anywhere!) and you can find some similar garland here. If you are looking for more Christmas inspiration, stick around because on December 1 we are starting our first ever Vlogmas series over on our YouTube channel! If you've never heard of Vlogmas before, basically it's a series of videos that run from Dec 1- Dec 24. So the goal is to post a new video every single day! We've got our work cut out for us, but we hope you will join us to celebrate the most wonderful time of the year!